The prestigious Punta della Salute berths lie just across from Piazza San Marco, and while other berths are a little further away from the centre, many of the marinas offer free shuttle services to Venice’s historical centre. Venice is like no other city you will ever visit. It’s unique beauty, labyrinthine canals and mystical atmosphere is the stuff of legend. 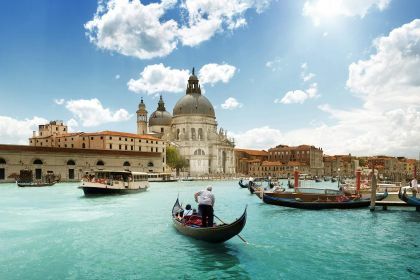 No wonder that it’s known as La Serenissima, meaning ‘the most serene’. The famed Doges’ Palace is deeply captivating. A number of architects have thought so, too. You’ll find it copied or referenced around the world, in cities as diverse as New York, Edinburgh and Glasgow. The Academy of Sciences in Baku, Azerbaijan, was also modelled on the palace. It’s easy to understand why. While a feast for the eyes on the outside, the Venetian Gothic building is even more impressive on the inside. It’s lavishly decorated with great works of art; there are the evocative torture chambers that Casanova managed to escape from, the biggest ballroom in Europe, and so much more. From here you can also cross Venice’s iconic Bridge of Sighs, connecting the interrogation rooms in the palace to the New Prison (Prigioni Nuove). 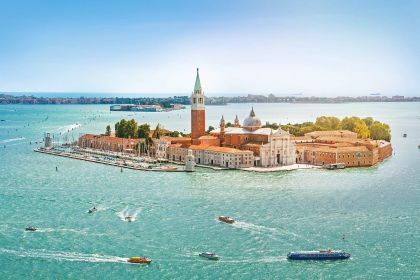 Adjacent to the palace is the trio of Venice’s best-known landmarks, the vast Piazza San Marco, the Basilica di San Marco and the 15th-century St Mark’s Clock-tower, the Torre dell’Orologio. Any of those historical edifices would be enough to awe, but to have all three in close proximity is truly mind-boggling. While in Piazza San Marco, consider a stroll west for some shopping therapy in some of Venice’s top designer boutiques in Calle Goldoni, Calle Vallaresso and the Frezzeria. Look no further for Italy’s top designer offerings, such as Gucci, Armani, Prada and the rest. Move on to the acclaimed Teatro La Fenice, Venice’s opera house. You’d be hard-pressed to attend a performance in more elegant surrounds, and if you’re fortunate enough to coincide your yachting vacation with an opera performance, this is guaranteed to be a lifelong highlight. Sip a Bellini, take in the opulent interior and count your blessings at being there – the opera house has burned down three times, with the latest restoration only being unveiled in 2004! For art aficionados, there are plenty of opportunities to indulge your passion. The Venice Biennale, for example, is a contemporary art exhibition running from early spring to late autumn, and there are uncountable art galleries and museums. If you are a food lover in search of new culinary delights, don’t miss Riviera, right on the Giudecca Canal – the chef makes delectable sea bass, and the duck with asparagus is sublime. Also recommended are the scallops and lobsters at the Ristorante Alle Corone. Of course everyone comes to Venice for the gelato, too. Try Alaska Gelateria-Sorbetteria or Boutique del Gelato for a dizzying array of flavours, natural ingredients and pure joy in a form of a homemade gelato. You cannot fail to be seduced by Venice, but when it comes to a yachting holiday to this gem of the Adriatic, the experience is unsurpassed. The prestigious Punta della Salute berths lie just across from Piazza San Marco, and while other berths are a little further away from the centre, many of the marinas offer free shuttle services to Venice’s historical centre. 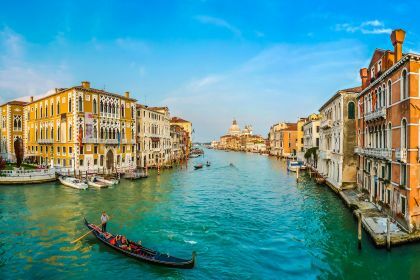 Exploring Venice’s sumptuousness at your own pace, soaking up art, music, architecture, and the elegant lifestyle that the city has to offer, is easier done from a luxury yacht. This way you can escape the crowds and the hustle and bustle of this major tourist hotspot. The beauty of this timelessly appealing city will beguile you. Let us help you with your yacht charter and anything else you may need to make your yachting vacation unforgettable. 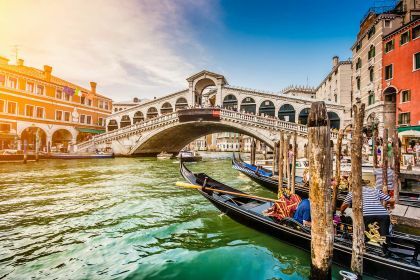 Don’t hesitate to give us a call or drop us a line using this charter enquiry form and we’ll help you achieve your dream — a perfect yachting vacation in Venice.